Baji Quan or Eight Extremes Chuan is a Chinese martial art. It is famous for its elbow strikes. It originated in Hebei Province of Northern China, but is also well-known in other places as well today, especially Taiwan. Made famous in recent times by Li Shuwen (1864-1934), a fighter from Shandong province whose skill with a spear earned him the nickname “God of Spear Li.” His most famous quote about fighting was, “I do not know what it’s like to hit a man twice.” Certainly a bit of hyperbole, but it still speaks for the shocking power Baji training develops. Li Shuwen’s most famous students include Huo Diange (bodyguard to Pu Yi, the last Emperor of China), Li Chenwu (bodyguard to Mao Zedong), and Liu Yunqiao (secret agent for the nationalist Kuomintang and instructor of the bodyguards of Chiang Kai Shek). Because of this, Bajiquan has come to be known as “The Bodyguard Style”. Today, the lineage holder of Bajiquan in China is Wu Lianzhi. He is also the prototype of Akira Yuki of Virtua Fighter fame. Through more than 50 years of training, he collected much material and records which were passed down from generation to generation. The major features of this school of Chinese martial arts include elbow strikes, arm/fist bashes, hip checks, and strikes with the shoulder. All techniques are executed with a very distinctive form of short power, developed through rigorous training; in Chinese martial arts, Baji is famous for its very violent and fast movements. Strategically, Baji focuses on in-fighting, entering from a longer range with Baji’s distinctive charging step and issuing power up close. 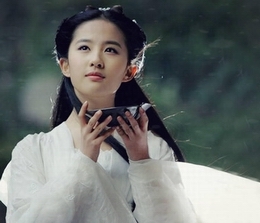 The essence of Bajiquan lies in jin, or power-issuing methods, particularly fajin (explosive power). The style contains a total of six types of jin, eight different ways to hit and several different principles of power usage. Unlike most western forms of martial arts which require swinging motion to create momentum, most of Bajiquan’s moves utilise a one-hit push-strike from very close range. The bulk of the damage is dealt through the momentary acceleration that travels up from the waist to the limb and further magnified by the charging step known as zhen jiao. The mechanics of jin are developed through many years of practice and Bajiquan is known for its particularly strenuous lower-body training and its emphasis on the horse stance. Its horse stance is higher than that of typical Long Fist styles. 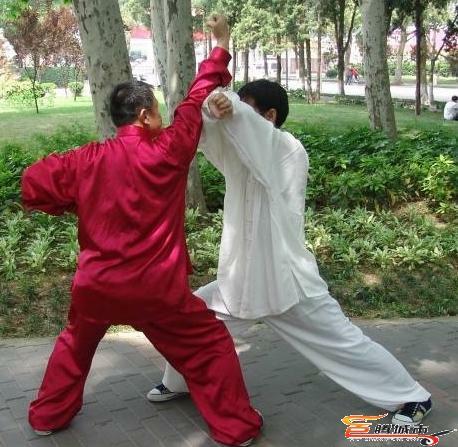 Like other styles, there is also “the arrow-bow stance”, “the one-leg stance”, “the Xū stance”, “the Pū stance”, etc. There are eight different poses of hands, plus different types of breath and zhen jiao. The forms of Baji are divided into Fists (non-weapon) and Weapons. In Fist, there are more than 20 different forms, including 12 Baji Small Structure Fists, Baji Black Tiger Fist, Baji Dan Zhai, Baji Dan Da/Dui Da, Baji Luo Han Gong, and Baji Si Lang Kuan. In Weapons, there are more than eight different kinds of weapon, including the very famous Liu He Big Qiang (spear), Liu He Flower Qiang (spear), Chun Yang Jian (sword), San Yin Dao (sabre), Xing Zhe Bang (staff), Pudao, and Chun Qiu Da Dao (long two-handed heavy blade, used by Generals sitting on their horses). There may not be that many styles in kung fu, that resemble Baji Quan. Because the Baji style focuses on being more direct, simple and powerful; unlike other styles of Kung Fu, that always tend to show its beauty and power through its movement. Even so, there are some styles that have derived by using Baji Quan’s main principles or concepts, on how to hit your opponent. “Longxing Bashi” (Eight postures of the Dragon Style). Many of these forms are also based or mixed with Luohan Quan(A Shaolin style). The term Bashi Pashi may also refer to Baji. But it can also be noted that Bashi is also a term used in the style of Xingyi Quan.